Over the last decade we’ve experienced a shift toward human-centered design. That is, design that differentiates between wants and needs, placing the latter as top priority. Sustainable and ethical design practices are rising in popularity, and whether we have Al Gore or our inner conscience to thank, the results are promising. Some might call us “The Big Smoke”, but Toronto is making strides in sustainable design. Around every corner of our concrete jungle there’s a building that has put strategies in place to make their design better for our people and our planet. To encourage large corporations and design firms to approach their projects with human-centered design in mind, the city of Toronto has developed a number of incentives, the most effective being rating systems (because let’s be honest, no matter how old we are, no one wants to come in last place). The Toronto Green Standard (TGS) is a tier system for sustainable site and building design; tier one is required new construction, while tier two is voluntary and provides financial incentives for builders to include sustainable and ethical practices that go beyond the bare minimum. Toronto also uses the Leadership in Energy and Environmental Design (LEED) system, a worldwide rating system used to rank ‘green’ buildings as silver, gold, and platinum. In recognition of Earth Day on April 22, we’re listing some of Toronto’s top sustainable designs. For a full list, click here. 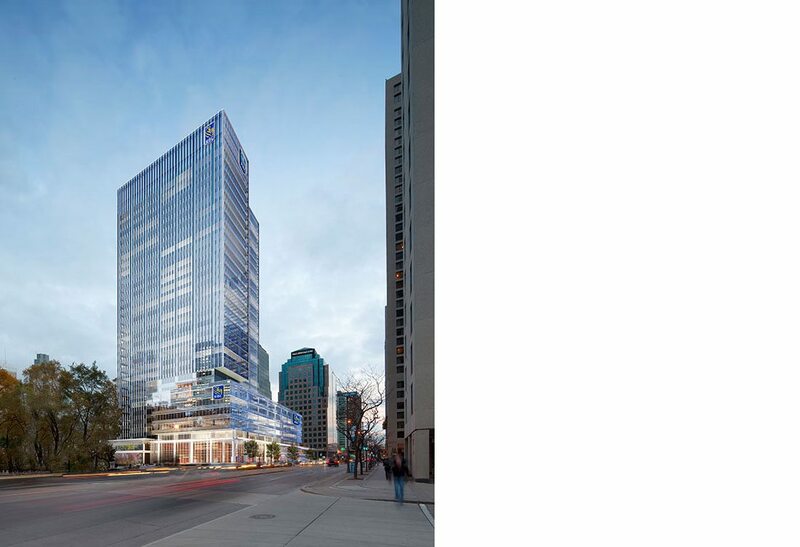 RBC WaterPark Place was the first building in Toronto to receive LEED Core and Shell Platinum rankings. To achieve this recognition, designers prioritized the health of employees and the environment. Green features include a 7,500 square meter green roof that allows workers to access nature and fresh air during the workday, optimizing windows and glass to promote natural light in the office, and deep lake water-cooling, which draws cold water from Lake Ontario to cool the building. (88 Queens Quay West). 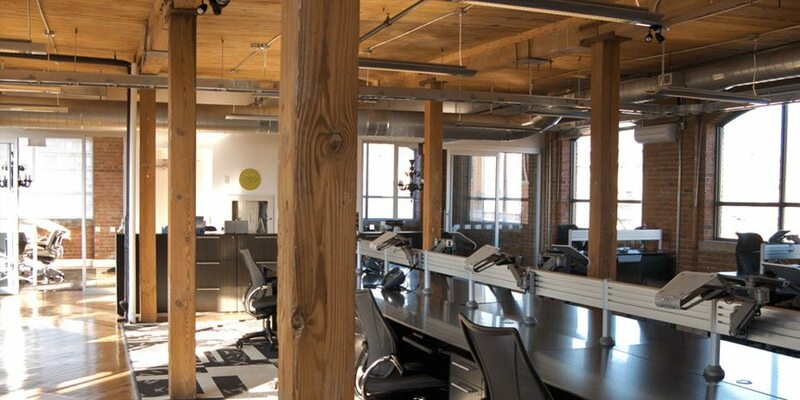 A leader in global furniture and textile design for the home or office, Knoll’s Toronto showroom was the first of their international locations to receive LEED-CI Platinum certification. To ensure ethical design practice, focus was placed on recycled materials and features, like carpet with a backing made of 76% post consumer materials, as well as the usage of low VOC paint and Forest Stewardship Council-certified wood on workstations. (109 Atlantic Avenue). 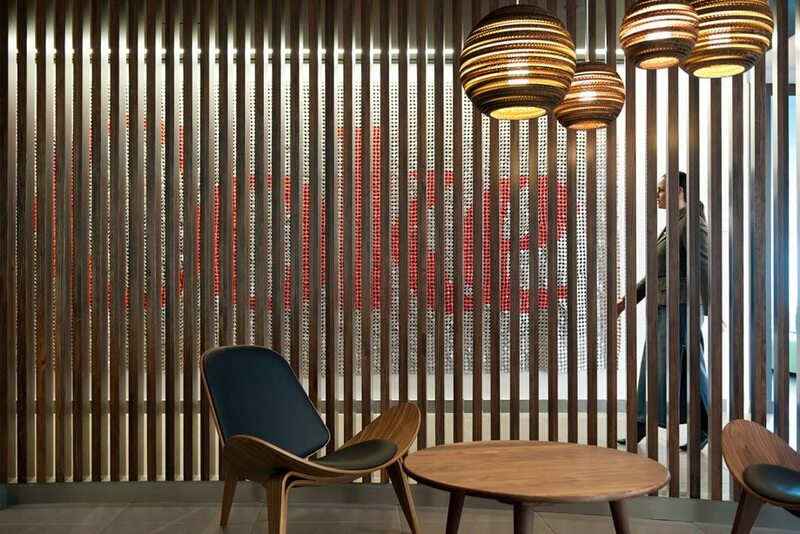 Coca-Cola Canada’s headquarters in Toronto received a LEED Canada CI Silver Certification in 2014. This came after they implemented initiatives like bike racks and on-site showers to encourage active transportation, lightning sensors in communal spaces to reduce energy waste, and the installation of low-flow plumbing that reduced water use by almost 50%. (33 King Street East). 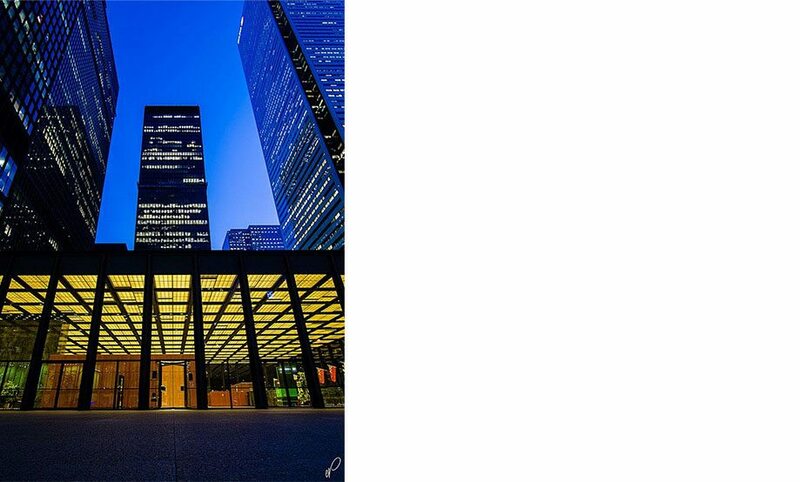 TD Centre Tower was the first building in Toronto to receive LEED Platinum certification under new criteria set by the Canadian Green Building Council. The building’s businesses and property managers worked together to implement green initiatives and strategies, including washroom upgrades to reduce water consumption, and a commitment to diverting at least 75% of their general waste from landfills. (100 Wellington Street). Humanscale is a modern design company that focuses on ergonomic workstations and accessories for office environments. 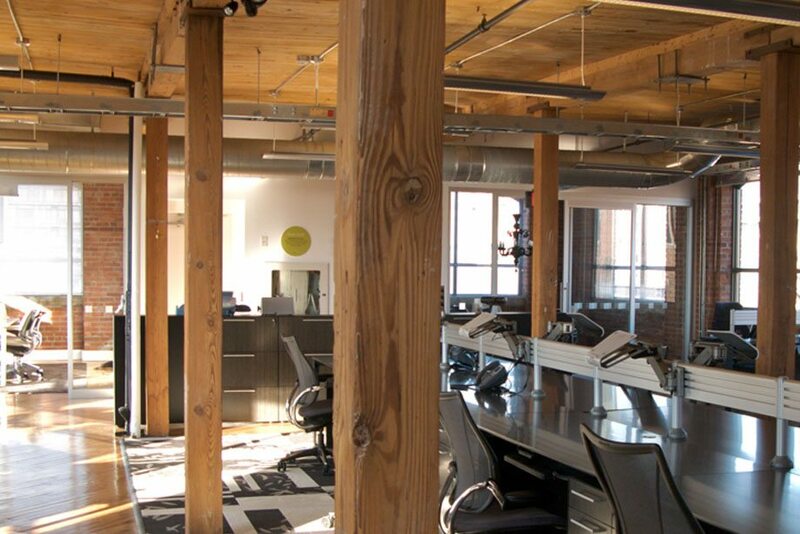 In 2010 their Toronto showroom earned LEED Gold certification for Commercial Interiors, for their physical office space and their sustainable products. The showroom features workspaces with natural sunlight and outdoor views, and an Education and Outreach Program that promotes public education on environmental building practices. (488 Wellington Street).